The miracle of life is one of the most beautiful blessings to be a part of. As great as a life may be it always will involve hardships and obstacles to overcome. Some can be easier than others to surpass while others can feel like they are simply insurmountable. Just as the situation of such obstacles can vary the same goes for the severity and complications of these problems. Some can be simple fixes that takes minimal effort while some can take a lifetime to asses. The latter sometimes involves health complications where many medical experts will tell you that your days are counted so make the best of what days remain, practically telling you to give up. This was the story of James “Rhio” O’Connor who was diagnosed with the asbestos caused cancer known as mesothelioma. Doctors informed him that he had a year of life left to live and that he should make the best of it. James refused and rejected to take chemo treatments that would cause more harm than good so doctors told him to take his wife on a cruise. Refusing to surrender to the cancer he set forward to find alternative treatments and raise awareness of cancer and encourage better treatments. He defied all medical expectations and outlived his medical prognosis by six years. His inspirational story makes you step back and ask yourself, if faced with a similar situation would you give surrender and give up or be brave like James and fight for your life with perseverance? Many times when faced with prognosis involving cancer the easier option seems to be giving up and relinquish hope of living further. James established a standard that can be applied not just for overcoming cancer but for any hardships in life. With all the technological and scientific advancements in today’s advanced world there are countless alternatives to any problem that life throws at you. It all begins with taking the initiative like he did and not surrender your will to live over to a medical prognosis. Not to say that doctors are mislead but just how diseases vary so does they way each body functions. That is why you can’t always accept a specified time a doctor tells you that you have left to live. Sometimes we fail to realize that how we handle situations affects others as well and not just family and loved ones, but people we may never meet as well. 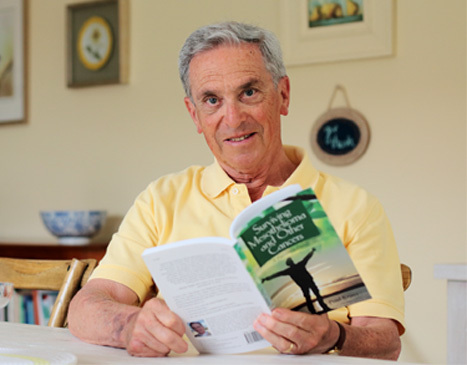 As John sought out treatment and support he didn’t limit his search of knowledge to books and medics, he also spoke with other cancer patients. Seeing with your own eyes that you are not alone and that you are not fighting a solitary cause gives you the motivation to not stay content with a status quo. This motivation opens your eyes to other alternatives that will benefit your life and the lives all those touched by your efforts. Doctors are only human just like their patients and only know as much as medical advancements and their medical knowledge permits them. 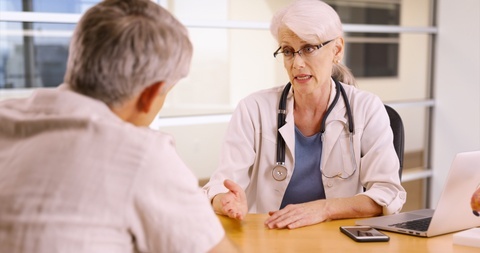 Although their prognosis can sometimes be flawed their expertise is undeniable. Just as John selected the medical personnel that he wanted to work with in conducting his research and selecting appropriate treatment methods that would be certain to provide a positive effect. Many people believe that they have found remedies too many diseases and illnesses and when you are left with minimal hope it is easy to become a gullible test patient to unproven methods that can fail and possibly make your situation worse. James opted to not be a laboratory test subject to any treatment choice he discovered. He worked together with other cancer patients and clinical experts of his choosing to make the best choices for his life. All of these resources didn’t disappear after he took advantage of them if anything there are much more resources today. All it takes is to take the initiative as James did and fight for the life that is rightfully yours. Many major hospitals and universities in the world of today have been conducting countless studies and researches to find better ways to treat anything from a simple cold to cancer of all the variant kinds known to mankind. All the money, time and effort invested into all of these alternatives and hopes for cures are futile if we don’t make the attempt to not only use them for ourselves but share them with others as James did. If you discover something that’s going to ease the difficulties of your life why not share that blessing with others who can follow your example so that it spreads around the world and everyone with a heart can bask in the same benefits and improvements to their lives. The greatest way to honor the memory of James would be to not only fail to give up but to always keep in mind the battles of others. To not be selfish and look out only for yourself. Never being content with keeping the answers to your self rather sharing them and raising awareness for the cause of others like yourself and help fight their battles as well. We should all follow in the footsteps of James and never surrender to defeat, you never know who is watching and the vast impact and influence you can have in the lives of other simply by taking one step forward. The journey of a thousand miles begins with just one step.